This month we are celebrating the arrival of the new royal princess with our very own little princess – Princess Tilly! 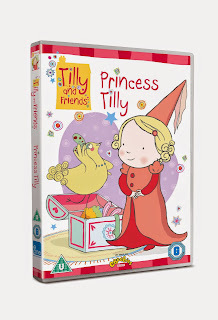 Fans of Polly Dunbar’s Tilly and Friends series will be delighted to know that this brand new Tilly and Friends DVD is packed with 10 new episodes, perfect half term watching for your little princesses. 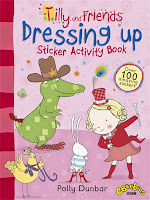 In Princess Tilly, Tilly tries on a knight’s shield from the dressing up box but Pru is horrified. She thinks boys should be knights and girls should be princesses. But being a princess and waiting around to be rescued is boring, and Tilly doesn’t think it’s fair that Tiptoe, Hector and Tumpty get to have all the fun just because they’re boys. But when the brave knights run into trouble in the garden shed, it’s up to the Princesses to come to rescue! 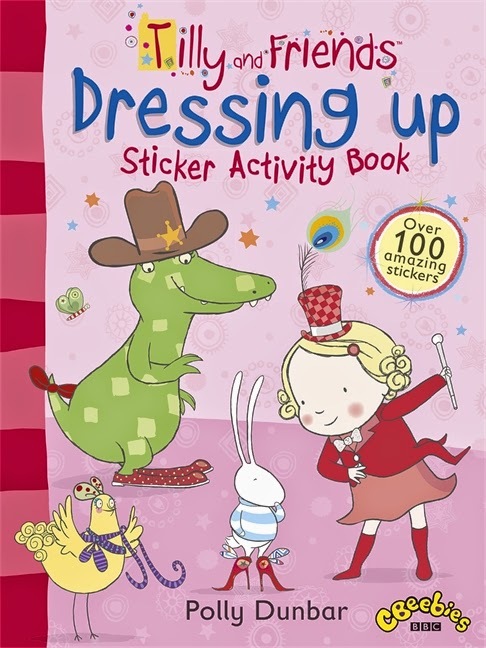 We have 10 jam packed goody bags to give away, each including a copy of the Princess Tilly DVD, a copy of the fun-filled Tilly and Friends sticker activity book, Dressing Up, Tilly activity sheets, stickers and a Tilly and Friends pen. To enter, just email us you name and address to competitions@walker.co.uk by 30 May with ‘Princess Tilly’ in the subject line. Good luck!